Happy Sunday! Today is Jaded Blossom monthly challenge day! This months challenge is to create a party favor of any kind!! 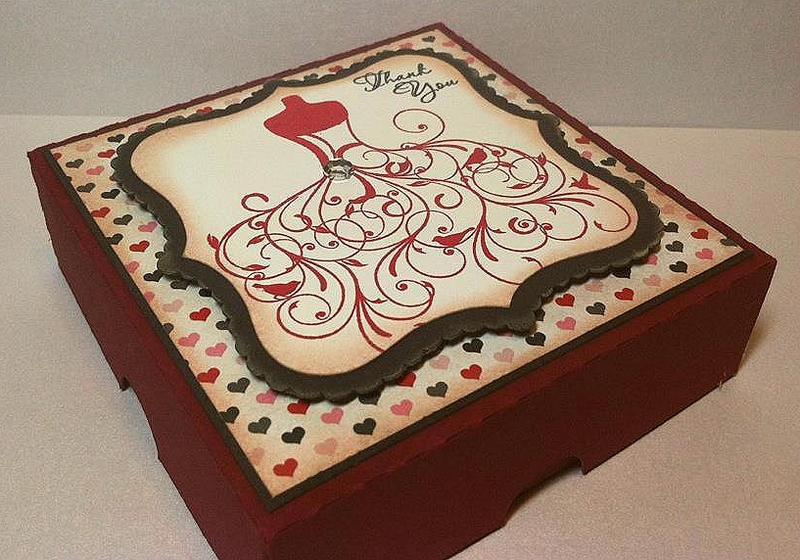 So I decided to use the Wedding Wishes stamp set and create a bridal shower favor box. 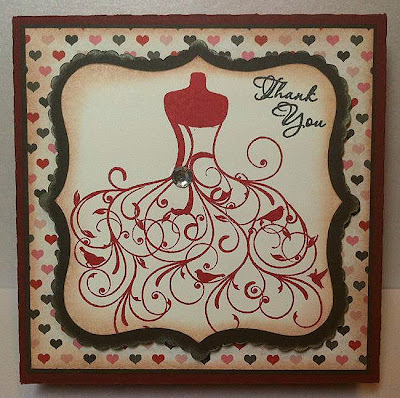 Both the wedding dress and "Thank You" are from Wedding Wishes. The box and shape on the lid were both cut from Silhouette Studio on my Cameo. Make sure to check out what the rest of the design team and link up your project! 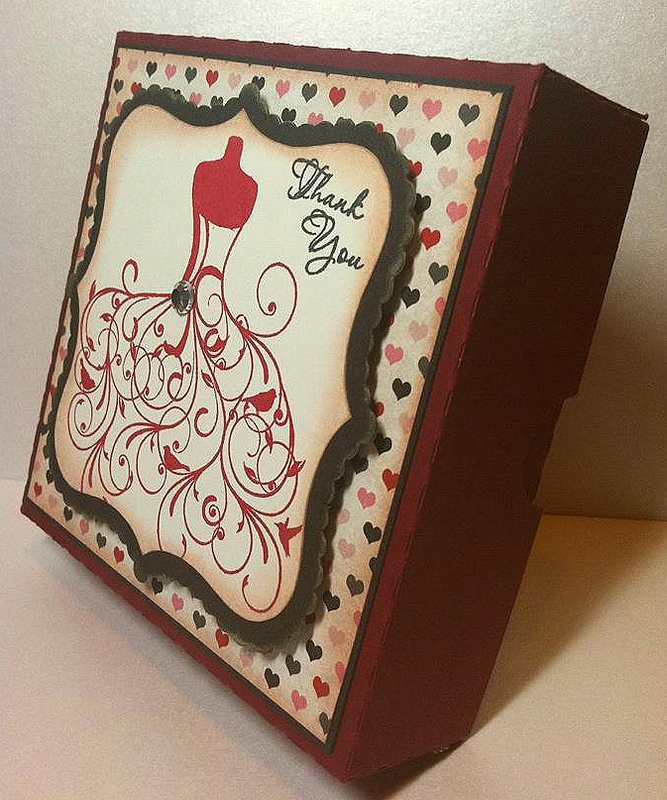 Also come back again tomorrow to see the first two stamps of the Jaded Blossom stamp release week!! So Beautiful. Love this stamp set. this is sooo pretty ! and yes I love more than just the paper !! LOL LOL ! super cute!!! I love the new blog look too! So pretty! You rock with that dress!! !